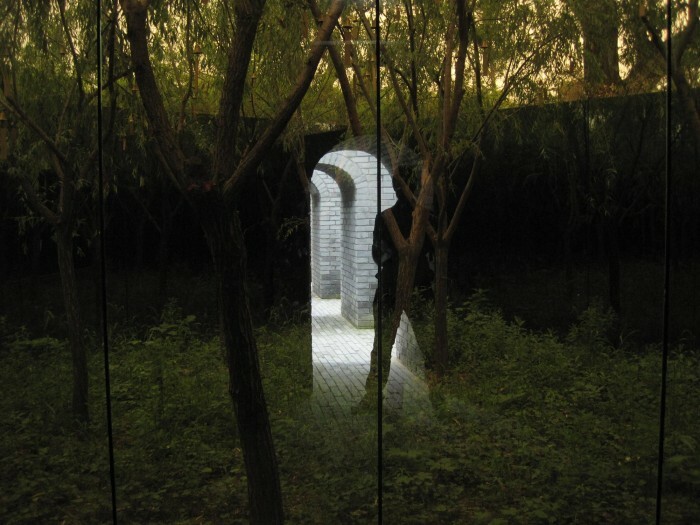 Introduction: Maze Garden is designed by Martha Schwartz, an internationally renowned master hand and artist of landscape architecture, Lifetime Professor at Harvard University, has honorary fellowship at the Royal Institute of British Architects (RIBA), and is chief designer at Martha Schwartz Design Firm. 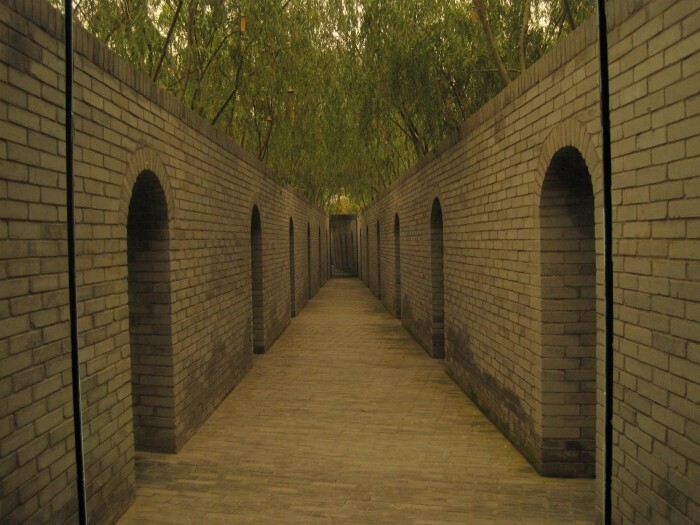 This garden is constructed with Xi'an's traditional 3 meter high black brick walls, which looks like a box from the outside. 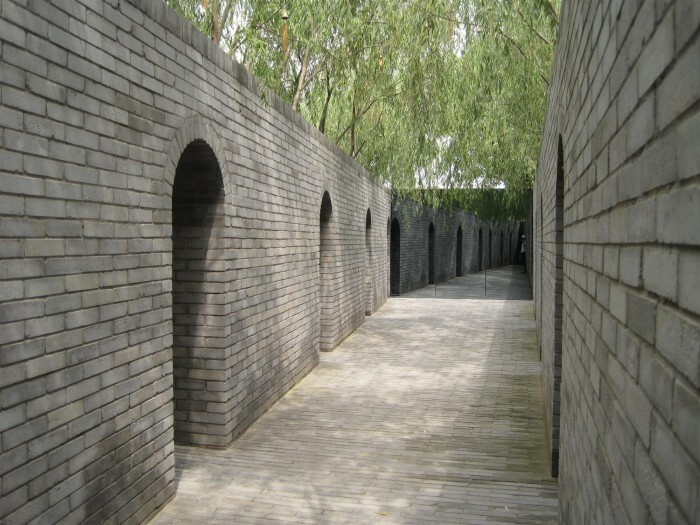 The space in the garden is divided into a series of roofed narrow corridors. Willows are planted in the space between every two walls. Over 100 little brass bells hang in the garden, making beautiful sounds as the breeze blows. 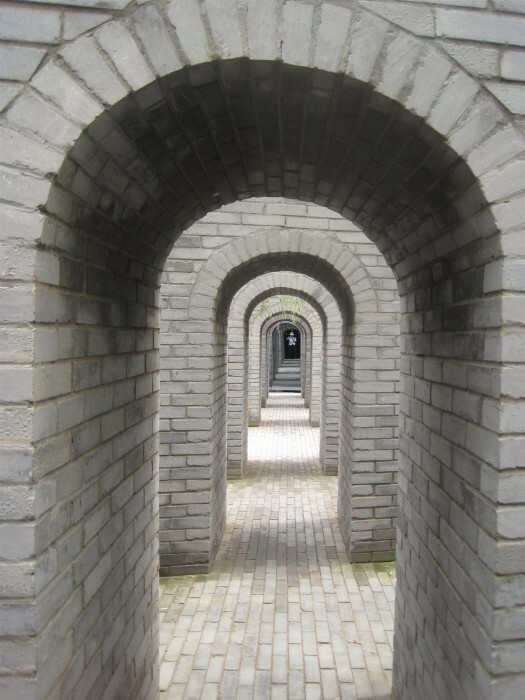 When walking inside, visitors can not only experience the change of space, but also see the various behavior of others with the help of the one-way mirros set in the corridors. The view from the other side of the mirror..